Sometimes playing a major NPC that’s part of the party can be tough. After all, it’s hard not to have the NPC come up with a winning strategy, spot a piece of evidence or find a trap the PCs overlooked. However, if one does this too much, the NPC becomes the crutch the group leans on as soon a problem presents itself. When done too little, the NPC is usually treated as a useless addition outside of menial labor and an extra weapon in combat. Here are a few techniques to keep them fun and useful , and become a party member the GM and players will like having around. Personality is everything with peer NPCs, and a fun personality that you as GM can easily get into and roleplay works best. Once you have this personality decided, turn it up a notch. Want the NPC medic to have an unexpected sense of humor and be a little absent minded? Make this clear early on, and ham it up when opportunities arise to add drama, humor or intrigue to a scene. The more the NPC interacts with the party and other NPCs the better you’ll like them. The more you like the npc the more fun you’ll have GMing them. This translates into a non-repetitive NPC the group will enjoy having around. 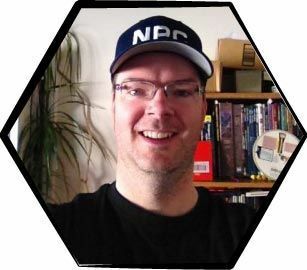 Give your NPC a character flaw or two (find a game with a character edge or flaw system, such as Cortex or GURPS, and adapt it to your game system). These flaws will make the NPC realistic, and they will add extra depth to use for story hooks (especially if you are trying to keep these flaws hidden from the rest of the group). The more real and interesting the character is, the more appealing they become to the GM. When the groups looks to the peer NPC for input on their latest plan, it can be hard to choose whether to point out the flaws in their plan or come up with solid advice. So, let the dice do it for you. Assign the NPC a helpfulness rating and roll under it anytime the group asks for their input. The lower the roll the more accurate or helpful their advice will be. You can also temporarily lower the rating value by 10% or so each time they get asked for advice in a session, to make them less likely to have great advice every time they are looked to for aid. Let the dice help control their input to take a lot of the burden off on how helpful to make the NPC.